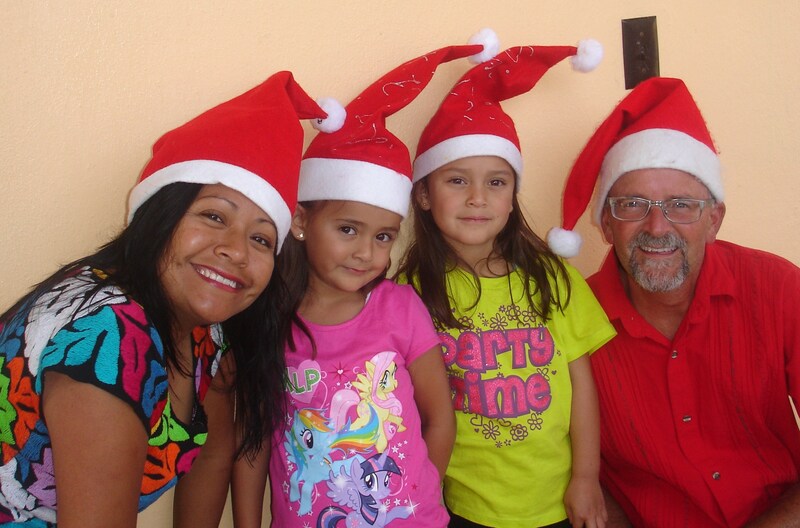 Priscilla is a house mother here at the home for needy children in Oaxaca, Mexico, where I am currently enjoying God. She gave a nice devotional the other morning about trees, fruit and Christians. She mentioned the beautifully decorated mission Christmas tree nearby. I forget exactly what she said about the tree that related to our spiritual life, but it got me thinking. I don’t know what the Christmas tree culture is like in the United States these days, since I have not been in the U.S. for Christmas for many years, but I imagine that it is similar to Mexico. 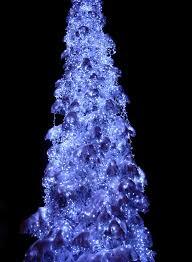 Most people here have artificial trees. A few have real pine trees. My family has a real tree in our living room that looks and smells great. Christmas seems more Christmassy to me with a real tree. I think that the kind of tree, and the way a person decorates the tree for the holidays, indicates what kind of person they are. Where their priorities are and what is important to them, for good and for bad. But that is beside the point. Forgive me. I wander as I wonder. 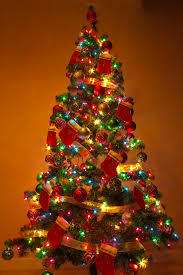 What I am wondering about is how do different Christmas trees look like different types of Christians, or represent different spiritual outlooks. For instance, here in Oaxaca Mexico I see a great variety of fake trees. Some look really fake, and some look relatively lifelike. There are some that are all white, perhaps to give the idea of a snow covered tree. We don’t get snow here where I live, but I wonder, what kind of a Christian would a fake white tree indicate. Then there are the blue trees, the orange trees and the purple trees. And the multicolored trees. 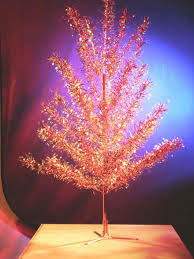 I don’t know if they have these colors of artificial trees in the U.S., but I see them for sale at places that sell fake trees here. What kind of Christian do you imagine as one of these trees? You see a tree with some red branches, some green branches, and some indigo colored branches, and you think to yourself, “Self, that tree reminds me of _________. A few people, although they seem to be dwindling in number, prefer real trees. Every tree is different. Most smell great, and they all have shedding pine needles and they have to be thrown away after Christmas. What kind of Christian does that seem to you? Living trees are also popular among some folks. They are a good idea to me and I have often thought that I would like to have one some year, but they are usually pretty expensive. The upside is that you can plant it in your yard when Christmas is over, and can enjoy it all year round. What Christian personality comes to mind when you think of this kind of tree? It’s not really a Christmas tree until it is decorated. Every person and every family has their own preferences when it comes to decorating old tannenbaum. Some trees look like Martha Stewart was called in to arrange the lights and bulbs. Others remind me of a “Charlie Brown” tree with a single strand of lights and a couple cracked and faded ornaments dangling precariously from a few thin limbs. Most Christmas trees fall somewhere in between these two extremes. The Schwab tree has flashing orange and green lights with some store bought ornaments, some that were given to us, and most that were hand made by Sally and Kelly, or by friends. If I was that kind of Christmas tree Christian, and who is to say I’m not, what would my spiritual personality be? The cool thing about Christianity is that God has chosen very diverse people to be His followers. 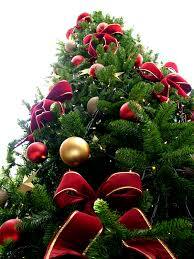 There are about as many different kinds of Christians as there are, well, as there are decorated Christmas trees. This Christmas, let’s not forget to thank God for all the different kinds of Christians in the world. Some may seem a bit strange. Some do things differently than you or I would do them. Some are really theological and others very socially minded. Some are active in the church, and others are active in the community. Some are introspective and others are people persons. All think or believe a little differently (or a lot) about almost every issue that you can imagine. All are beautiful in God’s sight. All bear His image. And all of us together make for an incredible looking Christmas tree. God bless us everyone. The Schwab family wishes each and everyone one of you a very Merry Christmas and the Happiest of New Years!!! In Stephen Kings book Lisey’s Story, he writes about Bad Gunky. He uses this phrase to refer to an evil presencee that his main characters are sometimes up against. I think of this phrase when I think of the Christian’s spiritual enemies. Luther talks about the World, our Fleshly desires, and the Devil. Paul warns the church in Ephesians that our battle is against the Devils schemes, the Authorities, Principalities, Powers of Darkness and Spiritual Forces in the heavenly realms. Bad Gunky all! realm. To be victorious we must have the sword of the Spirit, which is the Word of God. Spirit and Word. All the other pieces of armor are ultimately based on these two things. 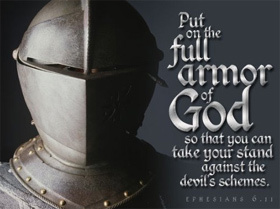 With that said I will list the other pieces of spiritual armor, and rather than going into a long description of each piece, I will simply include a few relevant scriptures. A cursory reading of these verses makes it plain that they are all connected in a radical way. You can’t have one without the others. A soldier back in the day could walk into his local armor shop and pick and choose which piece he wanted. He could a quote on one or two pieces or buy the whole shebang. As Christians, we get the whole outfit when we trust Jesus for our salvation. I think the reason that Paul lists them all as separate entities is that the act of putting on each piece, should be a daily act of meditation each morning before we go out to face the day, to face the enemy. God gives us each piece free of charge, and the mental act of strapping on each piece each day, each morning should give us cause for rejoicing in God and result in an attitude of strength that enables us to overcome the worries, frustrations, anxieties and anger that Satan and his minions will sling at us. With the spiritual armor of God we will be “strong in th Lord and in His mighty power.” We will go victorious into the day, full of joy knowing that God loves us and wants us to be happy. Faith – believing that God loves you and wants you to be happy. Righteousness – enjoying living in right relationship with God. Peace – not just the absence of conflict, but wholeness and contentment in every aspect of life. Gospel – the Good News that God loves us and wants us to be happy, and has revealed the way to inner joy through His Word. Salvation – being saved eternally from the power of sin and the wrath of God. Being saved daily from the time of trial and the Evil One. Truth – reality as seen through the eyes of God and revealed to us through scripture. Christ’s humility is our armor, His love is our strength and His forgiveness disarms demons. 6. Paul goes on to mention One Lord, One Faith, and One Baptism. To believe in and to have only one Lord was an extremely important idea in the time that Paul lived and wrote. There was a major player who lived at this time who also demanded allegiance as the one Lord, and that was the Emperor. It would have made life easier for the early Christians if they could have two Lords in their lives; Jesus and Caesar. But Paul assured the believers in the early church that they must acknowledge and worship only Christ. Many early followers of Christ were forced to choose one or the other, and for many they confessed Jesus as Lord in their dying breath. In the same phrase we hear Paul mentioning One Faith and One Baptism. For me, true Faith can be boiled down to the belief that God loves us and wants us to be happy. When people come to that belief that they can only be truly happy by trusting their lives to God and what was accomplished by Christ’s work on the cross, then they naturally want to proclaim that fact to the world by experiencing the One Baptism, in the name of the Father, Son and Holy Spirit. 7. Then Paul writes about “One God and Father of all”. To talk about God as Father was somewhat revolutionary for the Jews and the gentiles. The whole Old Testament only refers to God as Father five times. The Jews didn’t really relate to God as Father. Jesus turned their heads and got their attention when he began to refer frequently to God as Father; not just his father, but as Father to all followers. Paul continues with this glorious concept in most of his letters, and marks this idea as very important to Christian Unity. The commUnity of Faith must not only believe in God in general, and look to Christ as the head of the body, but also needs to see God as the Father of the Christian family. The Father who adopts, who loves, and who gives good gifts to his children because he loves them and wants them to be happy. 8. Next Paul tells the church that God gave gifts to the disciples of Christ to build up the church and bring it to a greater unity. The gifts God gave were, and still are, the gifts of apostles, prophets, evangelists, preachers and teachers. Unity doesn’t happen in a vacuum. Unity doesn’t happen without effort. To grow unity in the body of Christ we need to have everyone to be first aware of their gift, then educated in the use of their gift, and finally to use their gift. It’s like building a house. First the carpenter has to be aware of the tools at his disposal. The circular saw, nail gun and drill. Then he has to know how to use the tools, and have a power source to run the tools. Finally he has to actually pick up the tools and begin cutting boards, nailing then together and drilling holes in appropriate places. Many Christians have spiritual gifts, but they are not aware of what they are. A wise church or Christian organization will have classes to educate people on the spiritual gifts and determine who has what gifts. For example, at the home for needy children in Oaxaca Mexico, where I am helping out, we are going to have a series of classes, led by our administrator, Jill Adams, to help the staff identify their gifts, learn how to use them and then put them to work to make our local commUnity of Faith stronger and more effective in ministering to the “least of these” in Oaxaca. 9. In verse 15 of chapter four, Paul writes about “speaking the truth in love”. The number one thing that causes disUnity in the church and division in the body of Christ is the bad things people say. Negative things people speak. Gossip, slander, words of anger, tongue wagging lies, or speaking the truth in hate. Paul echoes this sentiment later in verse 29, when he admonishes believers, “Don’t let ANY UNwholesome talk come out of your mouths, but ONLY that which builds up“. 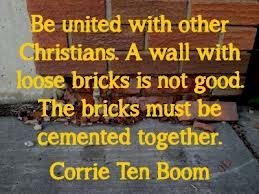 Christians should never berate one another, complain about others or grumble about fellow followers of Christ. When they speak incorrectly they are tearing down the body and not building unity. 10. “The whole body of Christ builds itself up in love, when every part does its work.” Paul wants all believers everywhere to know that this Unity thing is work! Everyone and every part needs to Work at unity. It doesn’t happen naturally, in fact most of these ten items go against our natural grain as sin bent human beings. The World, the Flesh, and especially the Devil, don’t especially like Christian unity. Paul goes on to talk about the great spiritual struggles we face everyday, and the need to be strong in the Lord and in his mighty power, and to put on the spiritual armor to defeat the Enemies and to grow Unity. This isn’t easy. It takes dedication, commitment and intention to accomplish. In short, it’s Work! 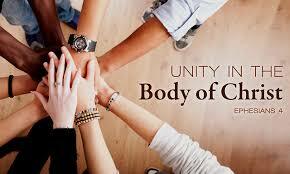 Let all Christians everywhere strive for unity. It’s what God wants because he loves us and wants us to be happy. Us as individuals and as a commUnity of faith.